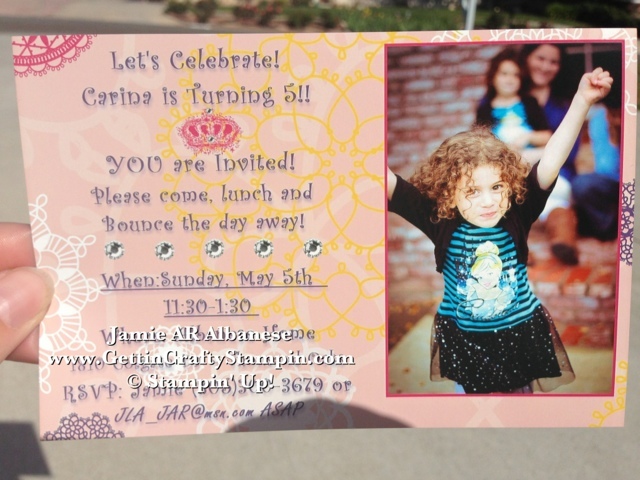 Getting Crafty with Jamie: Turning 5, Oh My! I'm JUST that kind of mom... busy! My Digital Studio does just that! TODAY.... my Angel Turns 5!! WOW!! Yesterday her sister turned 25! Life is madness but so full of blessings of Joy, Laughter and Excitement! 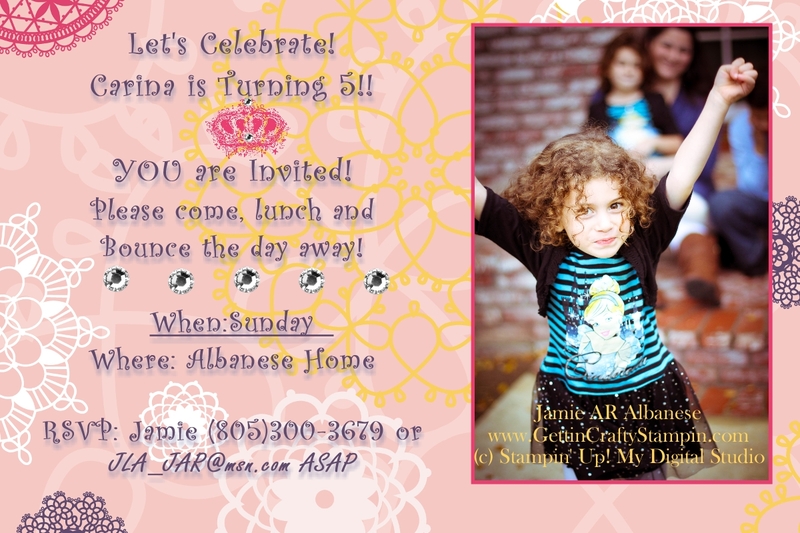 Creating this Invitation was easy, fun and quick with our My Digital Studio. (Let me know if You'd like to try it out.. I LOVE that my procrastinator self can then EMAIL the Jpeg of the invite to her friends and classmate and even print them at the local drug store on-line with their One-Hour Photo! This is the result - it may not be 'professional' colors but it has our palate, designs, stamps, and YES even our Rhinestones!!!! I LOVE that our Bling even came out and yes, it sparkles (almost as much as my little angel!!). Digital Crafting is FUN while adding to my Paper Crafting Repertoire. My Digital Photos POP in and are easily printed, even delivered to my front door!